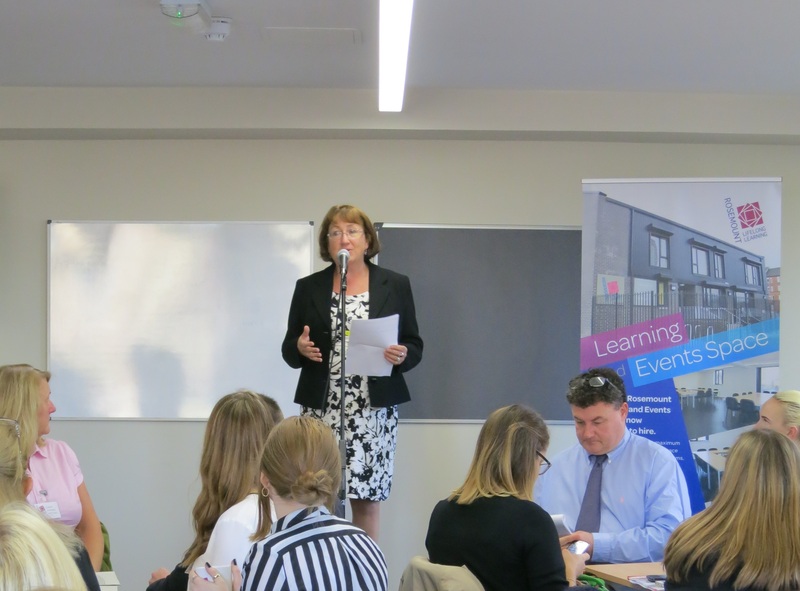 On 8th October Rosemount Lifelong Learning hosted an Employability Consultation Event on behalf of the Scottish Government. From 1st April 2017 the employment support services in Scotland will change. Employment support for disabled people and those at risk of long term unemployment will be devolved from Westminster to Scotland. The Scottish Government has hosted a range of employability consultation events around Scotland to get feedback from organisations, businesses and service users about how to ensure fair, sustainable and successful employability support in Scotland. The consultation was a chance for local organisations and employability support users in Royston and the surrounding area to talk about what already works well and what could be improved in the future. Annabelle Ewing MSP, Minister for Youth and Women’s Employment, started the morning off by welcoming everyone and giving a brief overview of the work the Scottish Government is doing to prepare for these changes. She joined the discussion alongside North Glasgow Community Food Initiative, Royston Youth Action, young mothers from Rosemount Lifelong Learning’s Young Parents Project, Rosemount Development Trust, Copperwork’s Housing Association, Blochairn Housing Association and many other organisations and users of employability services in the North East. While the discussion was introduced by Annabelle Ewing from the stage it was continued at four different tables around the Learning & Event Space. The feedback from each table was collated by staff members from Rosemount and then sent off to the government for their continued planning of the restructuring.